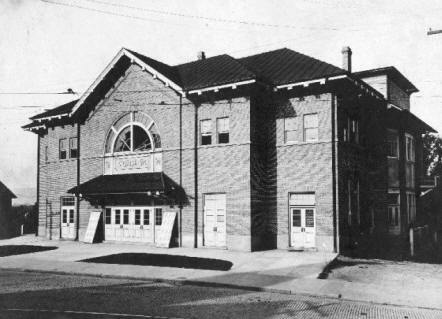 The Ashville City Auditorium is now the Thomas Wolfe Auditorium, part of the U.S. Cellular Center which includes the old Ashville Civic Center as well. 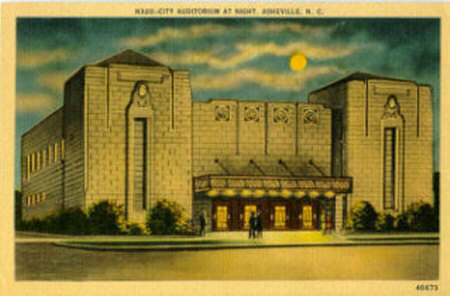 1902 - The first city auditorium called the Asheville Auditorium, opens its doors at the intersection of Haywood and Flint streets. A privately owned facility, it was built by popular subscription. 1903 - The Asheville Auditorium burns following a performance of Sergeant Kitty. 1904 - The first Gymnasium for African American schools was built by John H. Michael. 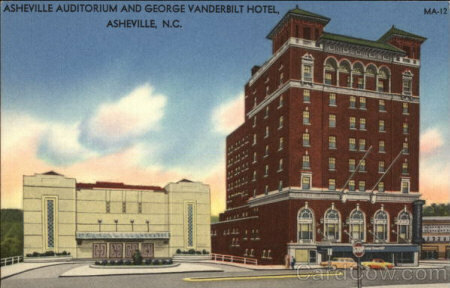 1904 - The Asheville Auditorium is rebuilt. 1909 - The city assumes ownership of the Asheville Auditorium and the venue welcomes major entertainers over the next twenty year, including Sarah Bernhardt, Lionel and John Barrymore, Helen Hayes, Harry Houdini, Al Jolson and Will Rogers. 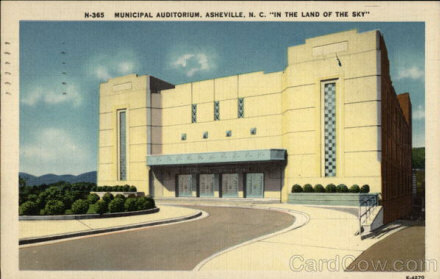 1931 - June, the Asheville City Council issues a report calling the Asheville Auditorium a "serious menace" and a "dangerous trap" because of fire hazards. The Council votes to condemn the building. 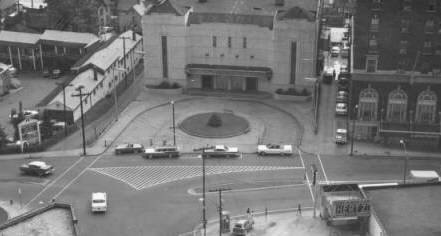 1940 - January 1940, the new Municipal Auditorium opens. The structure is funded in part by the Depression-era Works Progress Administration and gives a boost to the city during poor economic times. The new design is poor, at best, as the acoustics pick up the noise of wooden chairs on wooden floors and the loud steam radiators and the large flat floor makes viewing the performers difficult. 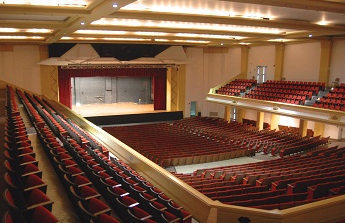 1974 - The auditorium is redesigned and named the Thomas Wolfe Auditorium.